If you are one of those people who love adding chili garlic sauce to whatever food you’re preparing, then this recipe is for you. You might wondering how your favorite siomai vendor does it. Thing is, it’s very easy and it would only take minutes to prepare. You can either use dried chili flakes or use fresh chilies and just drop them in a blender. This recipe, we will be using chili flakes. 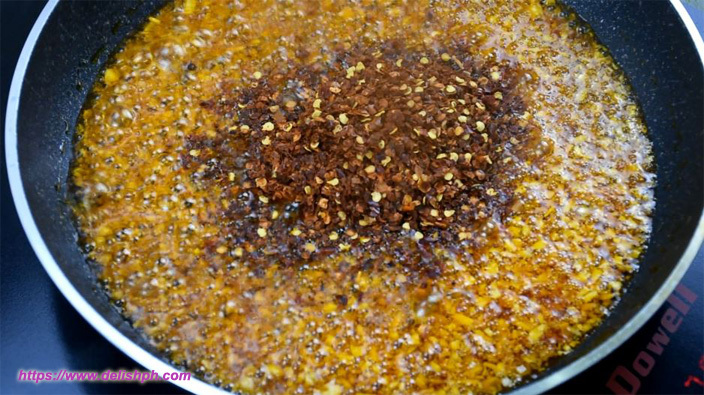 Prepare the anato/atsuete oil by heating the vegetable oil in a pan. Add in the atsuete seeds. Cook for about 10 minutes. Strain the seeds. Set aside. On the same pan, add a small amount of vegetable oil. Saute garlic and onion. Pour in the anato oil. Then the chili flakes. Let it cook for about 15 minutes in a very low heat. Let it cool before storing in a bottle. 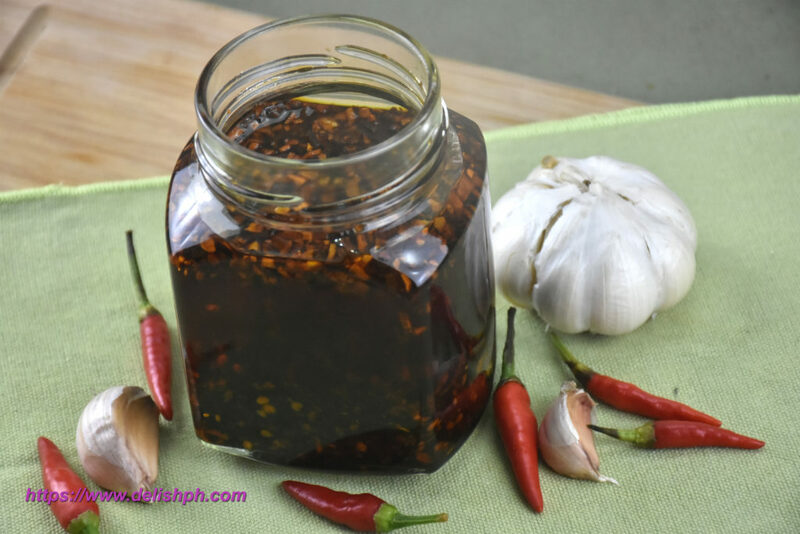 Several people messaged me requesting to prepare this popular chili garlic sauce recipe. Here’s my version of it. Instead of using fresh chilis. I just used chili flakes.